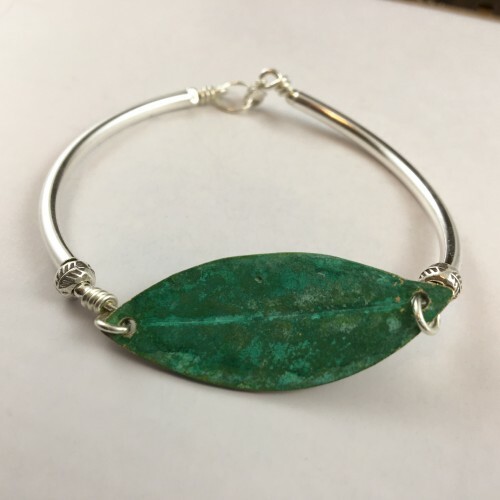 This new design is made in a similar way to the pebble bracelet, except that a bronze leaf is incorporated instead. 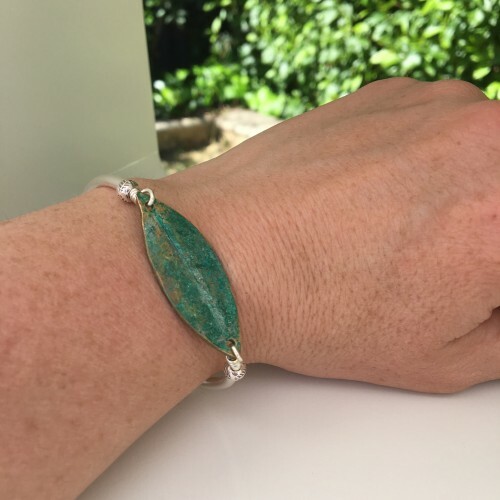 The bronze leaf was cast from a real little gum leaf and is layered with a deep green and turquoise patina. The leaf measures approximately 4cm long and 1.6cm wide. All other components are sterling silver, including the quirky artisan made leaf imprinted beads and the clasp. The bracelet's diameter measures approximately 6cm, which fits a medium size wrist. Quite a classy and unique looking piece for everyday wear!